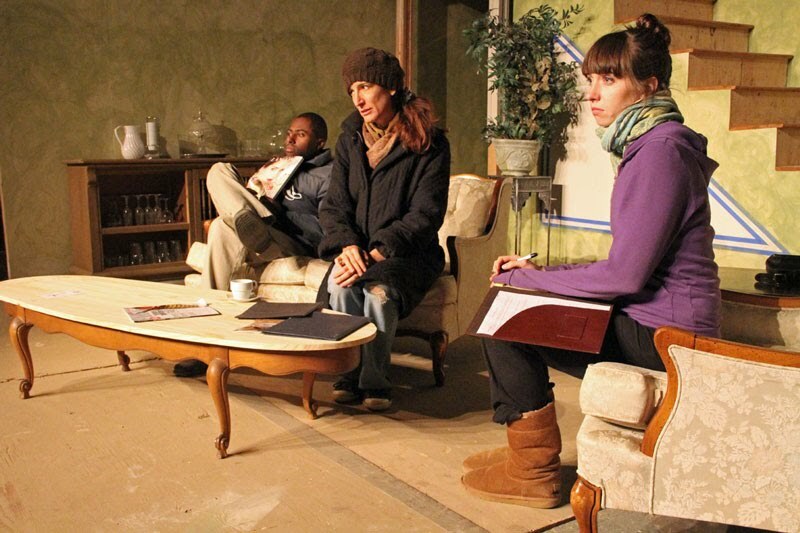 Jason Oler as Ali, Alison Whismore as Vera, Camille Beaumont as Sarah. Photo by Robert Schulz. ...everyone also needs to be prepared to bundle up. The picture above was taken during rehearsals on Monday July 16. The temperature had dropped into the mid-50's by the time we wrapped up for the night. Ah, summer in the Central Valley!